(Newser) – Maybe "Pending Larry" can make a late charge, but right now it looks like Big Bird is going to win this year's crown of hottest Halloween costume. 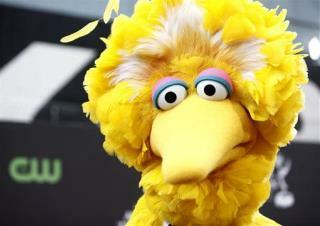 USA Today surveys costumer sellers across the country and gets the same response over and over: Any Big Bird costumes they had went quickly after Mitt Romney mentioned him in the first debate by way of talking about PBS cuts. An exec with Sesame Street's official costume maker calls this year's demand from retailers "insanity." "We have all the other Sesame Street characters, but everyone only wants Big Bird. We have just been telling people buy the Mitt Romney mask and put a beak on it." I'm going as a big binder. Hopefully by the end of the night I'll be full of women.